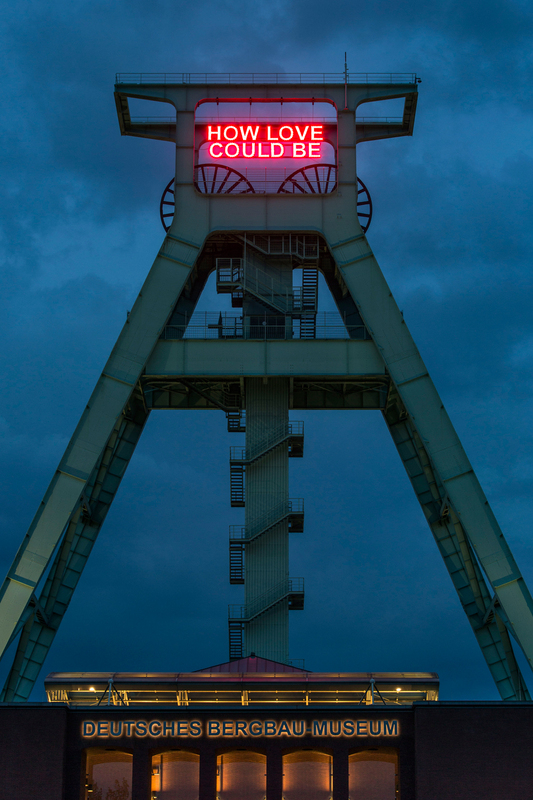 Commissioned as a part of Das Detroit-Projekt, a cross-disciplinary festival in Bochum investigating the local experience and context of deindustrialisation, How Love Could Be is a large-scale, temporary LED installation, specially designed for the hoist frame of Deutsches Bergbau-Museum, the mining museum that is Bochum’s most well known landmark. 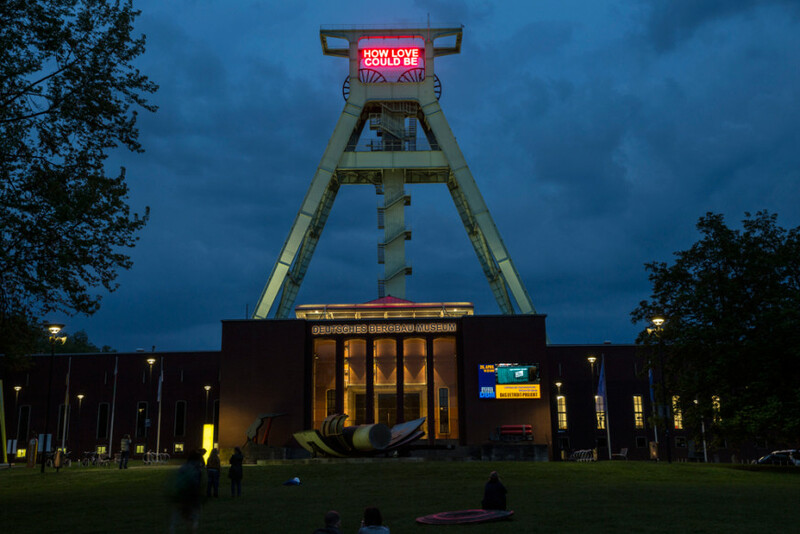 The phrase How Love Could Be, originally installed on the pit-head structure at the Deutsches Bergbau-Museum, is a quote from the first single of the legendary label Motown from Detroit: Bad Girl by The Miracles, published in 1961. 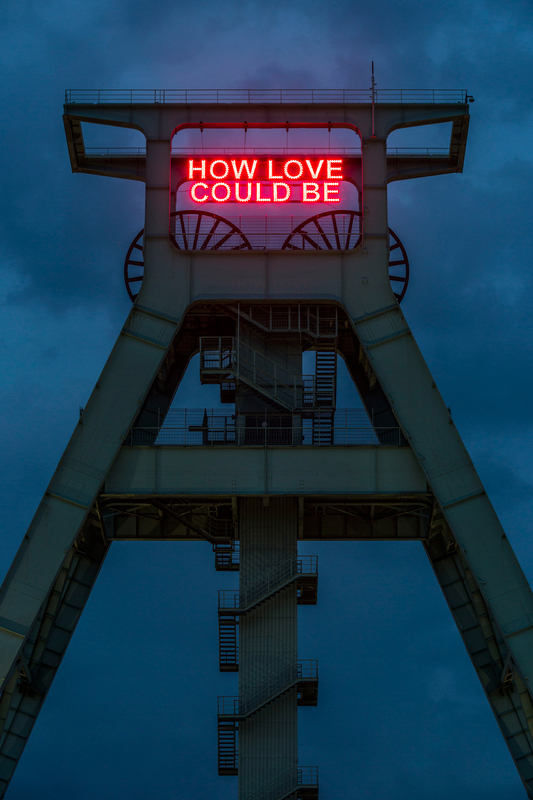 By choosing this line – both statement and question – Etchells invites visitors to reflect on the connection between Detroit and Bochum, their industrial history and their present economic struggles, in the context of deindustrialisation and globalisation. 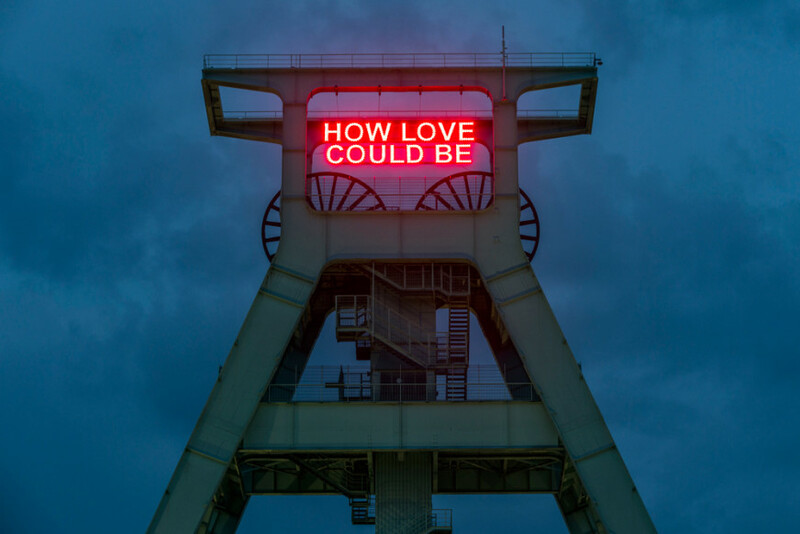 How Love Could Be is a public gesture of question, a fragment of a pop song which asks: How might a society tackle change? How might it take responsibility and take care of its citizens?